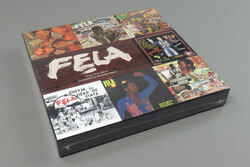 Fela Kuti - Box Set #4 Curated By Erykah Badu. Vinyl LP. Bleep. Erykah Badu curates the fourth Knitting Factory boxset of material from Nigerian multi-instrumentalist, musician, composer, pioneer of the Afrobeat Fela Kuti. Following on from curations by Ginger Baker, Questlove and Brian Eno. Limited to 300 copies only, Box Set #4 features the following albums: Yellow Fever (Yello Fever / Nai Poi ‘75), No Agreement (No Agreement / Dog Eat Dog (Instrumental), Johnny Just Drop (Part 1 / Part 2), V.I.P (Part 1 / Part 2), Coffin For Head Of State (Part 1 / Part 2), Army Arrangement (Part 1 / Part 2) and Underground System (Underground System / Pansa Pansa). 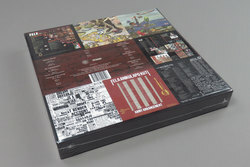 Plus a 16”x24” poster designed by Nigerian artist Lemi Ghariokwu, the creative force behind 26 of Fela Kuti‘s album covers, as well as a 20-page booklet featuring essays written by Erykah Badu, seven in-depth commentaries by veteran music journalist and Afrobeat historian Chris May, song lyrics, and never before published photos of Fela Kuti. Erykah Badu's boxset is released to coincide with the 20th anniversary of Fela Kuti's death.